We were impressed by the analytical effort shown recently by St. Paul (Minnesota) Pioneer Press reporter David Montgomery. Since that state’s legislature is debating a multi-billion dollar tax and fee program aimed at improving the state’s roads, Montgomery decided a public education effort on the state road network – and who pays for maintenance – was needed. 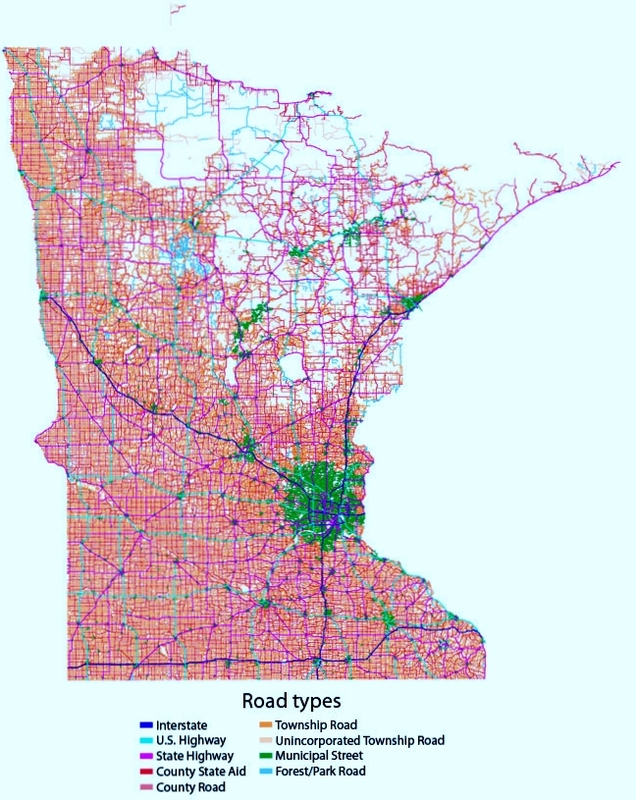 So he wrote this story showing 11 maps his team developed hoping to educate both legislators and Minnesota residents. MS2’s software applications use a Google Maps/ArcGIS Server hybrid service. Given proper data from the agency, MS2 software creates flow maps and more. As the Minnesota example above shows, maps and data provided to policy makers by engineers and planners makes it easier to have thoughtful, data-driven public policy discussions.